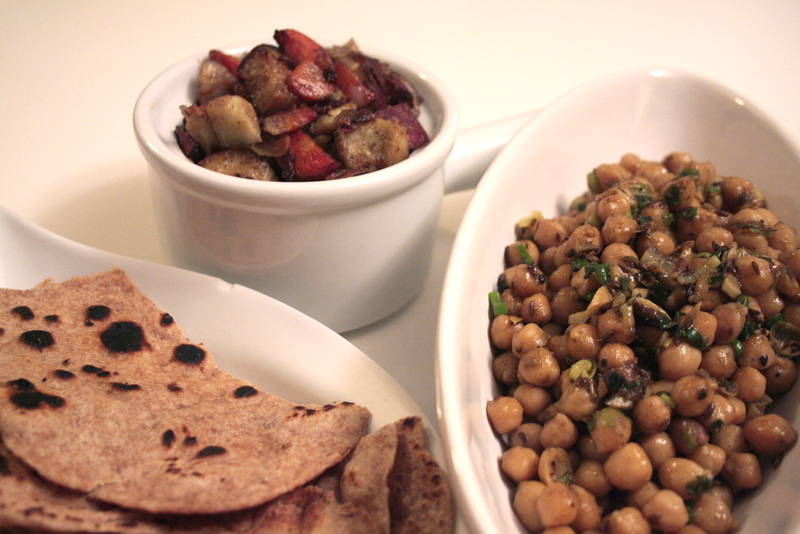 channa masala guyanna style | eating with S.O.L.E. Start by soaking a couple cups of organic dried chick peas for at least a day. Then drain, rince and boil in unsalted water until the peas are nice and tender. Set aside. Cook and brown for about 20 minutes on medium heat. Finally toss in reserved green onion greens and serve, along with some other lovely Indian flavours, maybe this eggplant masala, or this garam roasted pineapple and yam, or even this cauliflower korma.